Photo: Clement B. Gingrich House, ca. 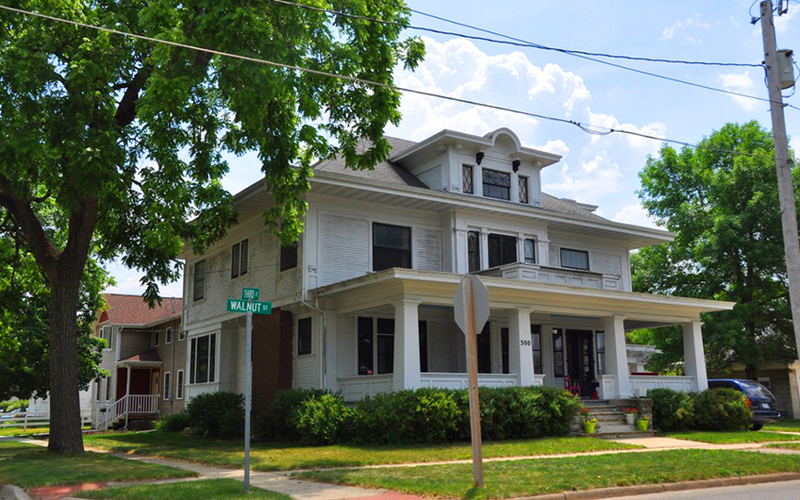 1915, 300 Walnut Street, La Porte, IA. Listed on the National Register of Historic Places in 1996. Photographed by User:Magicpiano (own work), 2012, [cc-by-4.0 (creativecommons.org/licenses/by-sa/4.0/deed.en)], via Wikimedia Commons, accessed October, 2015. The Black Hawk County Courthouse is located at 316 East 5th Street, Waterloo, IA 50703; phone: 319-833-3003. Black Hawk County was created in 1843 remaining unorganized until 1853. It is named for Black Hawk, a Native American Sac warrior who gained fame in the Black Hawk War of 1832.